If you’ve ever been sitting on I-97, waiting for traffic to move, you know how frustrating Baltimore traffic can be. Some of the worst traffic jams seem to always happen on US 50 as it goes over the Severn River Bridge and Chesapeake Bay Bridge. Backups are also pretty common on I-270, and I-95 as you get closer to major metropolitan areas like D.C. and Baltimore. Sadly, aggressive driving seems to be a common symptom of the busy, rushed, and frustrating lifestyle that so many people in our region must live. But aggressive driving is dangerous and can lead to horrible accidents with catastrophic results. So, it’s not surprising that Maryland lawmakers are seeking to impose new rules that would give police more options for enforcing existing aggressive driving laws. At the Law Offices of Todd K. Mohink, P.A., we are devoted to helping those who are injured by aggressive drivers. We are also here to help if you’ve been unfairly targeted and cited for aggressive driving. Often the law is not clear, and officers may act hastily to fine people who may or may not actually meet the legal standard for aggressive driving. What is Aggressive Driving in Maryland? At the moment, if a police officer observes a person committing 3 or more of the following offenses, then the officer can stop and cite the person for aggressive driving, which carries fairly steep fines and penalties. The problem is clear, however. If an officer observes a person speeding and chooses to follow, most drivers will immediately begin driving correctly and cease further aggressive driving behaviors. Therefore, the officer can still pull them over for the original violation (e.g. 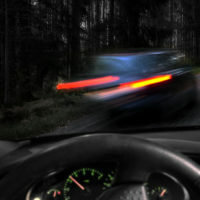 speeding or tailgating), but aggressive driving would not be appropriate. The officer must observe 3 or more. Reports indicate that in a proposal submitted by lawmakers last year, there would be two significant changes to the rules. COURT: Offenders who are charged with aggressive driving would have to appear in court, even if they wish to plead guilty. Currently, offenders can merely pay the citation and avoid court. Proponents believe this will create an inconvenience and perhaps an element of shame to deter people in the future. LESS PROOF: The second major change comes in the form of how stops would be done. Officers would only need to observe 2 violations. This is a much lower bar, because a speeder who weaves in between two vehicles rapidly without giving a signal would likely satisfy the rule in just that single action. Or speeding while tailgating someone would be enough. At the Law Offices of Todd K. Mohink, P.A. in Baltimore, we take pride in helping people from all walks of life across various legal problems. If you are facing an aggressive driving charge, we may be able to assist with reducing the charges or getting them dropped entirely. Likewise, if you or someone you love was seriously injured by a reckless driver, we may be able to help you recover compensation for the injuries you sustained. Whatever your legal problems, you can count on Todd K. Mohink to zealously advocate for you and those you love. Call or visit us online today.